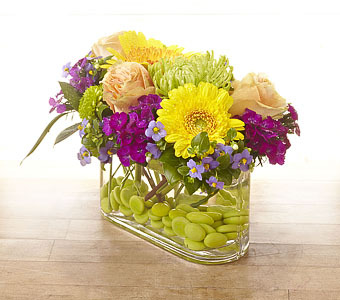 Happy Canyon Florist delivers flowers to Glendale, Colorado every day. We also deliver to all Glendale hospitals, churches and funeral homes. Glendale is a city located in an exclave in Arapahoe County, Colorado. Glendale is actually situated within Denver, although it is a separate city. The city itself is split by Cherry Creek. A lot of Glendale is business offices and other commercial properties, although there are some residential high rises. It’s also home to Four Mile House, a historic place that served as a stopping point on the Cherokee Trail, and Infinity Park, which will include a recreation center, stadium, park, and event center. Glendale was first settled in 1859, although it wasn’t incorporated as a city until 1952. Four Mile House was one of the first buildings to be constructed in 1859. It was first a stage stop and tavern for travelers on their way to Denver. Glendale has always served as something of an entertainment center, especially during the 1970s, when it was the spot to go for night life in Denver.